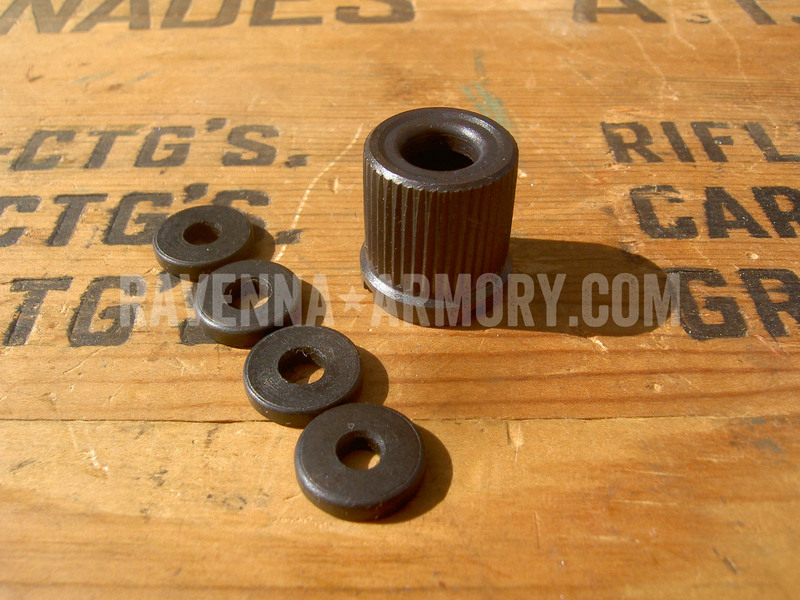 Blank Adapter for G43 and K43 rifles with threaded muzzles. Simply replaces the original muzzle nut. Comes with 4 hardened aperture baffle plates. Precision made with lathe cut threads, heat treated for durability, and hot-blued for attractive long life.